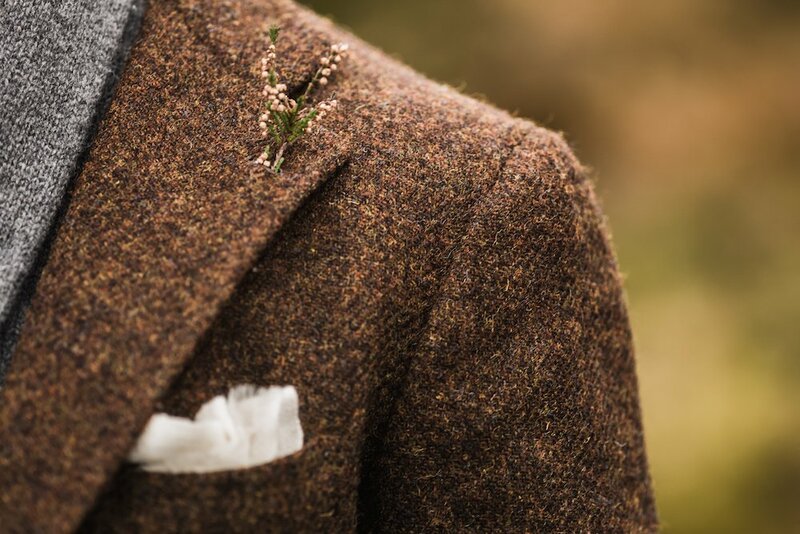 In many ways, tweed should be the perfect material for a modern man. It is practical, hard wearing, and can be dressed up or down, from almost-formal to definitely-casual. On the formal side, a navy tweed jacket, grey worsted trousers and button-down shirt is the smartest dress most men outside professional offices require. And for a casual look, a softly made jacket in perhaps a grey herringbone suits a crewneck sweater, jeans and boots, making an informal outfit that still looks considered. But tweed has an image problem. Despite its variety of uses over the years, it is still strongly associated with country pursuits, with an older generation, and with the English upper class. Indeed, the very name can put off younger guys - tell them something is a ‘wool’ jacket rather than tweed, and they will often look at it in a different light. “These popular associations largely come from the media and from fashion designers,” comments Fiona Anderson, author of Tweed (Bloomsbury, 2016). 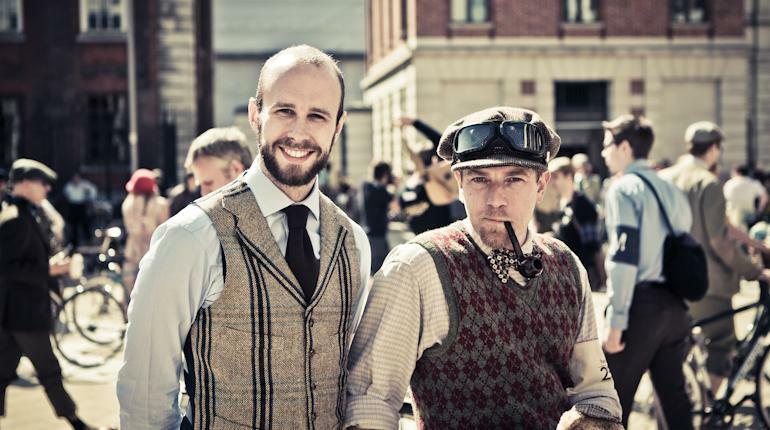 These old-fashioned associations are a pity, because tweed is so practical - the original performance fabric. Nothing compared to modern synthetics for waterproofing of course, but still very windproof, water-resistant and breathable. 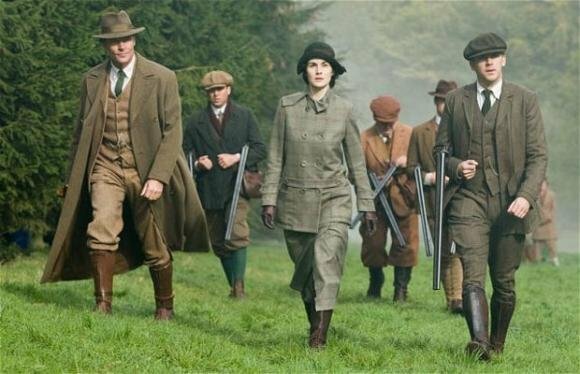 She adds that tweed first became popular in the 1830s, when Scottish field sports started to be fashionable and the alternative cloth - a brushed wool broadcloth - soaked up water much faster. Tweed’s spongy feel also makes it lovely and comfortable to wear - certainly more so that those synthetic alternatives. And in all its flecked, nepped and multi-coloured variants, it has to be one of the most diverse and beautiful fabrics in the world. Permanent Style don’t need to be convinced of these pleasures. But the broader world does - and those that tell them should use this language of versatility, practicality, and subtle beauty. 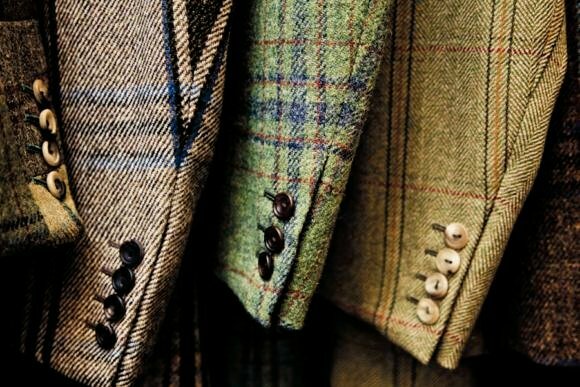 Once a man starts to love tweed, there is a huge amount of information to delve into, including the history, the estates and the different weaves. In many cases, these have little impact on what he selects - as a ready-made garment or to be made bespoke. 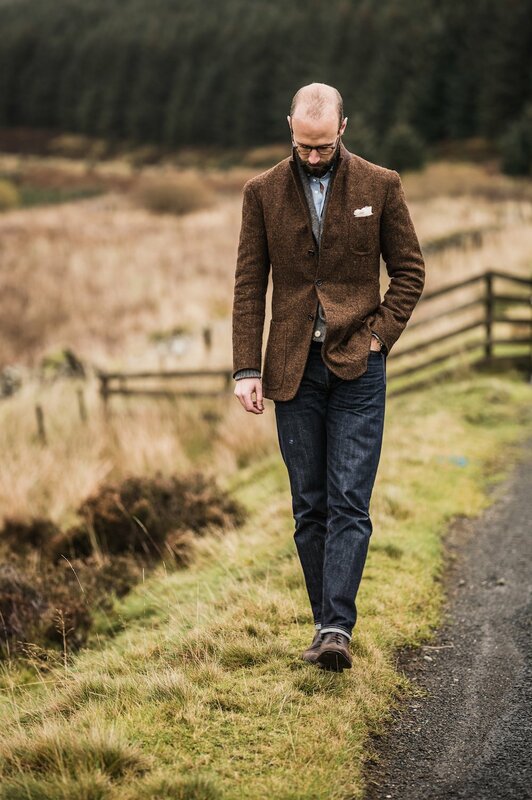 Looking at the colour and texture is enough to tell whether the tweed is smart or casual, and feeling it quickly establishes whether it is light or heavy, soft or rough. But knowledge can be useful in communication. Knowing the basic terminology enables one to understand what a tailor or retailer is talking about when they describe a tweed as a donegal or gun-club - whether it’s about the pattern, the finish, or simply the heritage. Tweed today is a generic term for a flecked fabric made of woollen (rather than worsted) yarn, with a rough surface, and made in mixes of earthy, natural colours. Its influence is so broad, however, that these various elements are often used in other cloths, and referred to as tweed or ‘tweed-like’. For example, Italian mills occasionally offer a jacketing that has the same nepped style as donegal tweed, but woven from cashmere. This is lovely, and a very versatile material for a jacket - but it is unlike tweed in every other way. In the United States, and sometimes even in the UK, simply having a windowpane check can be enough for a jacket to be called tweed. And there are many cloths made of worsted yarn that lack the rough finish of a traditional tweed, but use worsted to make a smoother, smarter cloth. So traditional tweed is perhaps best thought of as a reference point, an archetype from which many others draw inspiration. Whether they really deserve to be called ‘tweed’ isn’t that important. As long as we all understand the traditions they're drawing on. So what are the different types? Well, the two best-known varieties are theoretically defined by their origins: Harris Tweed from the island of Lewis and Harris in Scotland, and Donegal Tweed from the Donegal region of Ireland. However, while Harris has been closely guarded as a label, Donegal has not. Harris created its own trademark in 1909 that defined which wool could be used to make the cloth, and where it could be made. As a result, Harris Tweed is now more consistent - with that traditional roughness of finish and an open weave that makes it spongy and naturally stretchy. Harris tweeds also tend to have a lot of colours woven through them - often up to 12 coloured yarns even making a simple brown (above). Donegal, by contrast, is used today to refer to any cloth with the flecked pattern of the original Irish tweed (below). Very attractive, but not necessarily as deserving of the original label. Saxony: A fine, soft tweed usually using merino wool. Sometimes Saxony uses a mix of woollen and worsted fibres, which can make it appropriate for suits. It was originally made in Saxony, Germany but is woven quite broadly. Cheviot: A thicker, rougher tweed than most, named after the British sheep it takes its wool from. Cheviot is often stiffer and more densely woven than other tweeds, again making it useful for heavy suits. Shetland: One of the softer tweeds to come from Britain, but not particularly fine. Often spongy and good for jackets, it originally used wool from Shetland in Scotland, but often doesn’t today. 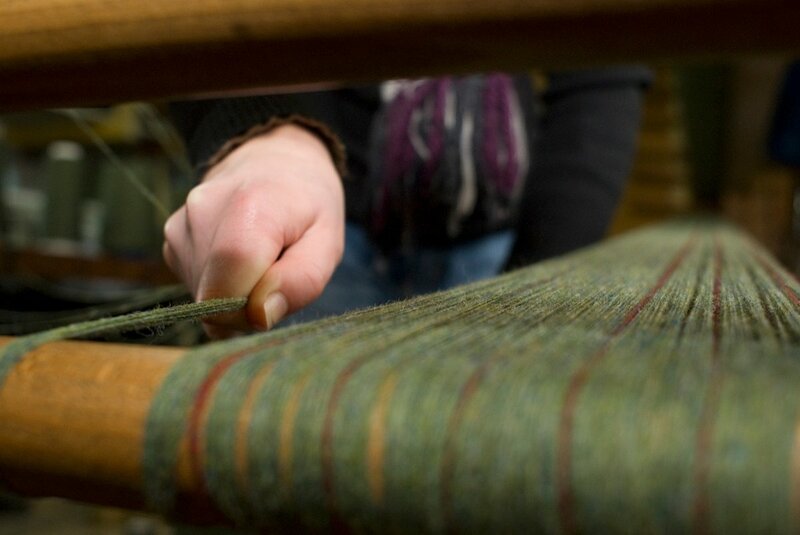 Thornproof: A tweed that uses higher-twist yarn that most others, in order to make it tougher and harder. Usually made in the muted green colour of hunting suits. Estate tweed: This concerns design rather than location or animal. Estate tweeds are usually unique to a particular estate and worn by their staff. They all tend, however, to have a windowpane check, usually over a herringbone weave. Gun club: A type of estate tweed, but woven as a shepherd’s check with various coloured checks over the top. It originated with the New York Gun Club, which modified a Scottish estate tweed. Other designs (eg Glenurquhart) or weaves (eg barleycorn) are not that specific to tweed, being used in other suit or jacket cloths. But they are so prevalent in tweed that they are often used as names of different types. Today, tweed is slowly becoming more popular, and witnessing its own trends and fashions. For example, mills say they are seeing increasing demand for brighter colours. Traditional tweed echoed the colours of the Scottish countryside - browns and pale greens, the blues and greys of heather. It was originally a form of camouflage. But once in the city, browns and greens don’t necessarily make as much sense - and don’t help with the old/rural/posh associations. Darker blues and navy have been used for a while, but designers today say they are using more soft pastel colours like pink or yellow, and weaving them into more muted, urban versions of grey, blue and brown. Arguably these modern tweeds are subtler and more wearable than their rural ancestors, given the latter tended to use bright red and yellow overchecks that couldn’t be seen at a distance, but were quite stark up-close. I have a few tweed jackets that could fall into this modern category, including my pale-yellow shetland tweed from B&Tailor (below). It mixes a sherbet-y yellow with several different shades of grey, making something that feels light but also quite modern. Elsewhere, I tend to favour browns and greens, but in darker shades than most traditional tweeds. I also have a dark-blue tweed that has proven very useful as a modern version of a navy blazer. I also find I consistently shy away from checks on tweed jackets, and from tweed suits. In both cases, the desire is to avoid standing out too much - and I usually wear them with an open-necked shirt (oxford or chambray), and jeans or flannels, for the same reason. Many thanks to Fiona Anderson and the dozen or so other contributors to this article, some from England and Scotland’s finest tweed mills. Tweed, by Fiona Anderson, can be found here. You can follow the discussion on The Guide to Tweed by entering your email address in the box below. You will then receive an email every time a new comment is added. These will also contain a link to a page where you can stop the alerts, and remove all of your related data from the site. I share your love of tweed. One thing which is important is weight, given the very wide range of weights available. In my view, regardless of pattern, the heavier the cloth, the less formal it will be. I have several Harris tweeds which at their most formal can only get as far as cords or moleskins. By contrast, many finer cloths which work well with flannels. 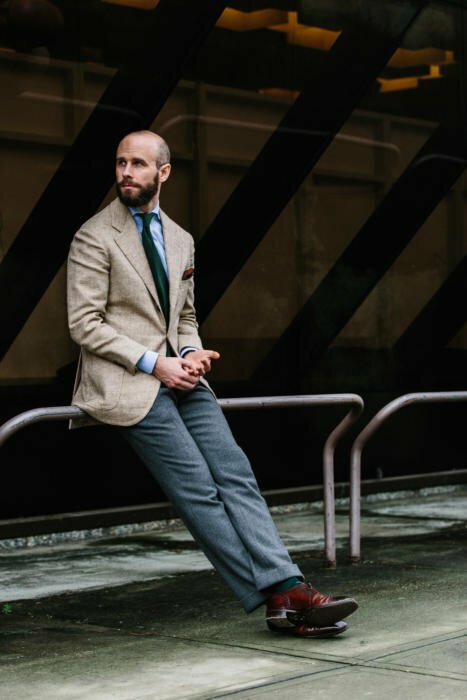 I am a fan of tweed and I enjoyed your recent post. However I think you might have given Donegal tweed short shrift. For reference, I am a fan of both Harris and Donegal tweeds. You refer to Donegal tweed as coming from the “Donegal region of Ireland” which tends give the idea that it’s a rather loose arrangement, which it’s not. Given that Donegal tweed doesn’t enjoy the protection over its provenance that Harris tweed does, I think it’s important for readers to understand that it comes only from the county of Donegal. In the description of Donegal tweed you don’t refer to the differentiating characteristic, which is irregular flecks of colour throughout the pattern as a reference to the varied landscape of this wild and beautiful county. 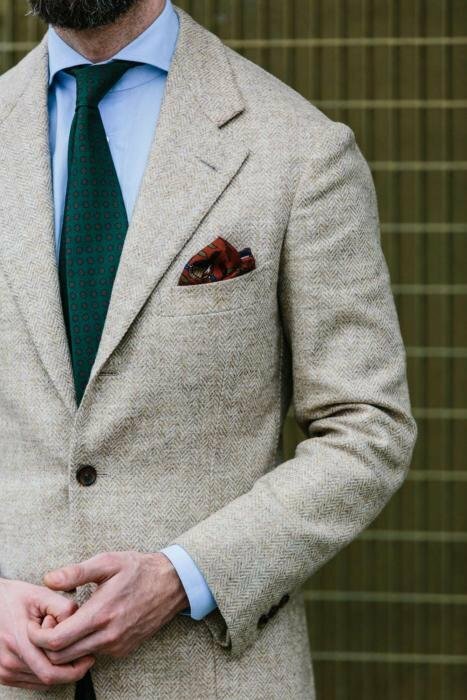 You mention that Harris tweeds have multiple colours woven through them giving the impression that this is how they are unique. 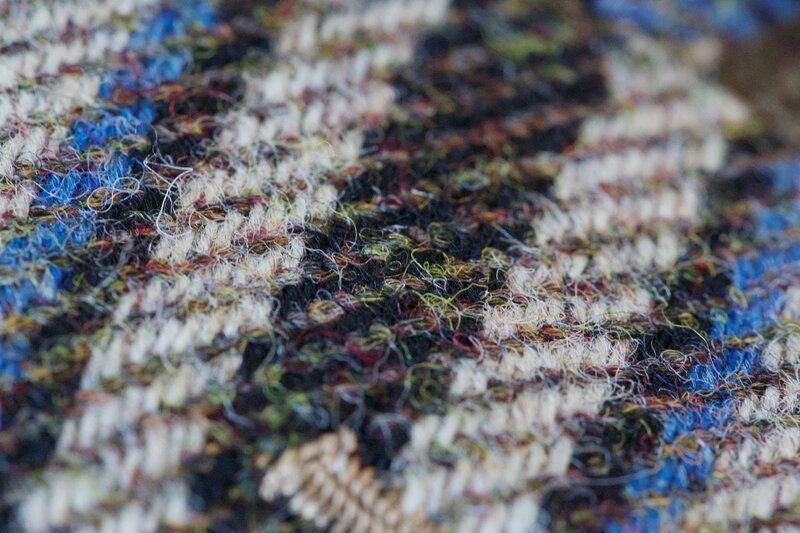 Donegal tweeds (and probably other tweeds too) have multiple colours in the weave as well. It is the additional random flecks of colour, often quite bright and striking, that give Donegal its special place. Your photo of Donegal tweed may have these flecks but they are not too evident – there are plenty of more representative Donegal patterns on the internet. I think the most difficult to read was the comment that “Harris tweed is more consistent”, which is hard to defend when buying Donegal tweed which is made in Donegal. A simple internet search of “Donegal tweed” will point your readers effortlessly to high quality producers of the genuine article. I hope you will take this in the spirit in which its meant, and please keep up the great work. Thanks, and indeed I will. I only meant that donegal is more consistent because it has lost that protection, and therefore the pattern is used in lots of different ways, on lots of different materials. Some of which I would guess you wouldn’t even consider donegal. Probably since I was a boy I’ve always loved heavy flannel trousers, which pretty much demand a tweed jacket or something at least as heavy as the trousers. Unfortunately, in the U.S. the word ‘tweedy’ was used as a perjorative for many decades, connoting someone who is old, out of step, and possibly even feeble-minded. Part of being well-dressed means having the ability to ignore such external noise, and by ‘noise’ what I mean of course is nonsense. isn´t tweed consider for colder weather? I used to be affected by tweed being associated (only in Britain I imagine!) with the hunting and shooting set. Now I love it, for reasons you’ve articulated very well Simon. Harris tweed in has enjoyed a real renaissance. It was only in 2005 that the main Haris manufacturer had to be rescued by investors. Ten years later the same company was winning export awards. I wonder how much credit the i-gent set can take for that?! 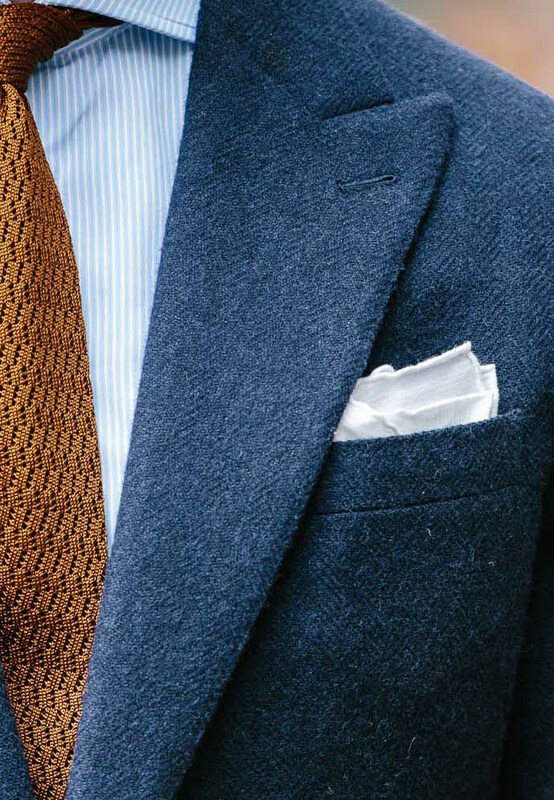 Think navy tweed and gray worsted is a fine combination but can easily be done wrong. Lots of textural variation in a worsted swatch—some color variation is a must when pairing with tweed. I’ve discovered the delights of vintage tweed and find Harris Tweed the most impressive. Good article. As a collector of tweed jackets, I find that while beautiful and sensible, tweed is becoming harder to wear without projecting a “period costume” or novelty air. What are your thoughts on bringing tweed to the younger generation? I think it’s about trying to shake off that image, as I mention at the start, by selling its versatility and beauty. Also soft-shouldered versions, bespoke or RTW, help a lot. Thank you for this interesting article. I will consider a navy blue tweed jacket for next autumn/winter. I think that all the tweed jackets I have seen so far were single breasted. 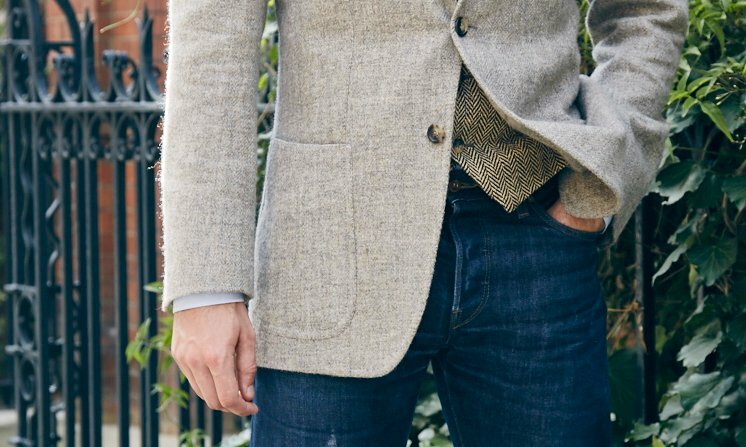 In your opinion, can a tweed jacket also be worn double-breasted? Simon what do you think should be the first 3 sport jackets a man should get. I have a blue blazer, a brown harris tweed jacket and I am thinking of getting a grey donegal or cashmere jacket. Would that be a good choice for a small capsule wardrobe? If one only was to have 3 jackets? I came across a jacket that is a mixture of merino wool and cotton. It is described as merino tweed from NI…is that still considered tweed? I always associated Tweed with being 100%. An approach that makes a statement and avoids the overly “tweedy” look is to wear a tweed waistcoat under a non-tweed suit. For example a brown tweed waistcoat under navy suit, with the right choice of shirt/tie colour, has great impact. And it’s easier on the wallet since Harris or Donegal tweed waistcoats cost typically around a third of the price of a sports jacket. You often refer to cashmeres with a Donegal aspect. I am yet to bump into one such fabric, despite the hundreds of bunches I have been through. Any hint? Can a Donegal be worn 3 seasons if the jacket is half lined? It depends on the country, but in the UK usually yes. Would a tweed jacket take place in the top-3 jackets a man must have? By the way, which 3 jackets would this be? Fabrics and colors mainly is what I am interested in. Tweed is a lovely fabric indeed! Even though one of my first bespoke item while in High school was a tweed trousers, I’ve end up loving only tweed jackets instead of suits, and wearing them as the French usually do. Thus, the big challenge for those who consider such an option: which kinds of additional items to pull off for a whole outfit? Shirts, ties, cardigans – when in need, trousers and shoes could indeed either drag it down and make it a country attire or a very smart casual one. Excellent, brilliant, informative and enabling article. Thanks! Very enjoyable post. A quick question on “gun club”, please. I am eternally confused on this topic, but have come to believe that gun club cloth is composed of shepard’s checks. So, if the cloth is composed of hound’s tooth checks, it is not a gun club cloth (even though it often resembles one if the hound’s tooth is small in scale), but a hound’s tooth cloth. Splitting hairs I know, but am I correct? Yes and no. There are no clean definitions in cloth, as hopefully this piece illustrates, and even when there are, things overlap. I believe you’re right that the original gun club checks were shepherd’s checks in the different colours, but they have also used houndstooth cloths for a long time. I don’t recognise your “made in mixes of earthy, natural colours“; natural, yes, but not necessarily earthy because some Harris Tweeds have all the colours of the world from the pinks and oranges of the sunrise and sunset to the blues and purples of the flowers of the field. It is one of their glories. Thank you for yet another insightful and informative post. Is tweed a resistant fabric for trousers, or like flannel it wears out relatively faster in trousers than in jackets? Does that also apply to thornproof tweed? And if that is the case, would you recommend an extra pair of trousers for a tweed suit? Which trouser fabric would be the most hard wearing? Cavalry Twill? Yes probably, although it depends on a lot of things – the weight, the coarseness of the yarn, and so on. Of the weaves, a steep twill like this will wear the best, yes. You mention shying away from full tweed suits to avoid standing out too much. However, what are your thoughts on commissioning a tweed three-way suit — that is, having a suit, but really wearing the jacket and trousers separately and thus more casually? I’m particularly thinking of the typed of non-checked tweeds you mention preferring. Maybe a navy or dark brown donegal for example. 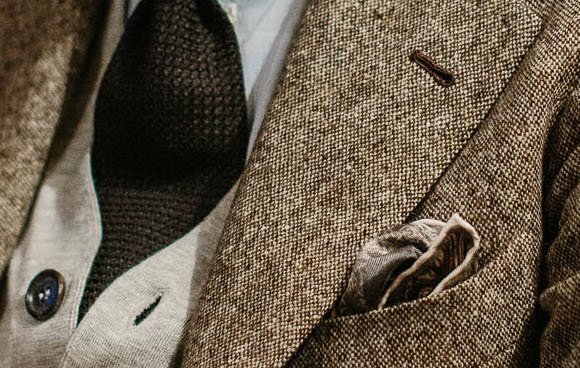 Do you see any notable herringbone tweeds on par with the discontinued yellow tweed from Sherrytweed (from your B&Tailor jacket) and the Permanent Style grey herringbone tweed? Wondering what I should do next after I get my grey herringbone moonbeam sports coat. What do you think of tweed odd trousers? I’m thinking of something relatively neutral in a lovat green, possibly to wear with a camel jacket. I am considering a grey herringbone tweed jacket and would like something I could wear in the office (perhaps with charcoal trousers) but also with jeans. Looking at your tweed jackets it would seem that the lighter the fabric the more formal they look. Which bunches would you recommend? It seems the 11oz Sherry Tweed you used on the B&Tailor jacket or the WBill from the disguisery can be good options? Good morning, Simon, enjoy your articles on Harris Tweed…I’m going on a 90 day cruise later in the year, and have been informed formal wear in the evenings is the tradition,I already have a tux and charcoal grey suit, but will be visiting Newtonmore, Inverness and purchasing two Harris Tweed suits, I would appreciate any advice on correct colours tweed, partial to the green heather though, but for a cruise…appreciate it, Simon, good day to you. Well I don’t think there will be anything like a ‘correct’ colour, but if on a cruise you might tend towards less rural colours – so fewer strong greens and coloured overchecks.